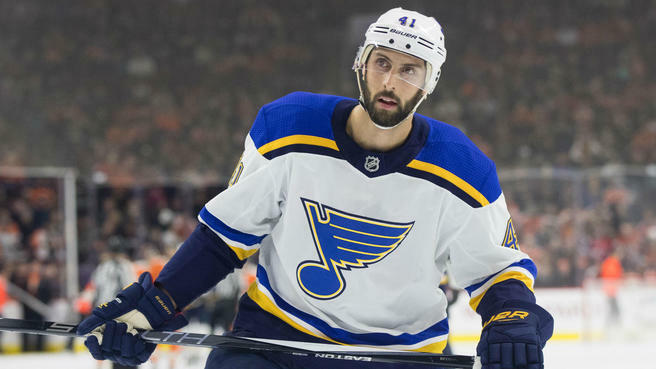 St. Louis Blues defenseman Robert Bortuzzo has been suspended for the remainder of the pre season and one regular season game. The suspension comes after Bortuzzo elbowed Washington Capitals' Michal Kempny. Kempny was in the Blues corner when he was caught by a high hit from Bortuzzo. Kempny remained on the ice while the Capitals went on to score. He did not return to the game due to an upper body injury. Follow the link below for a video of the hit and a more in depth breakdown of the play that resulted in Bortuzzo's suspension.